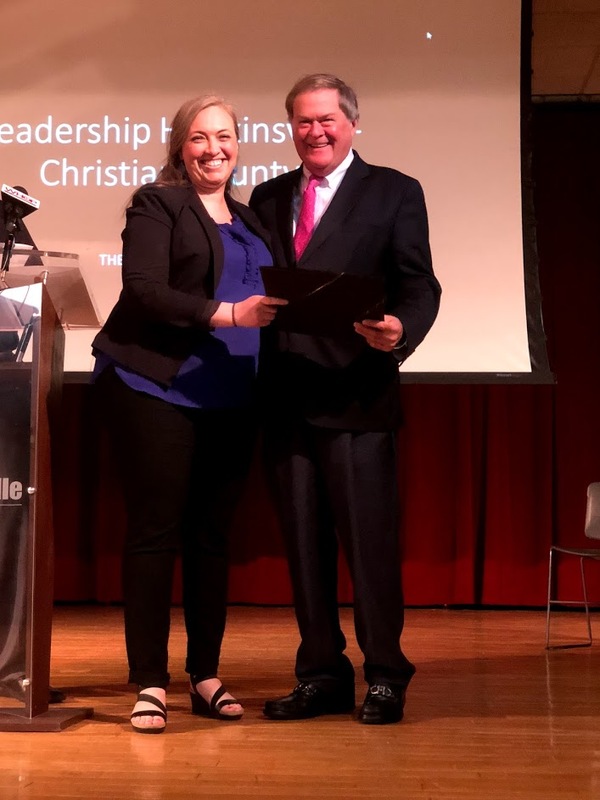 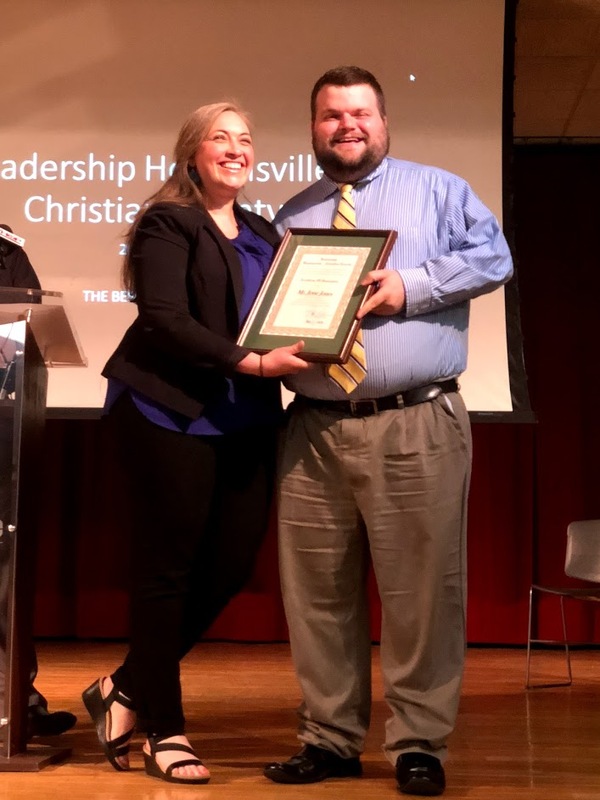 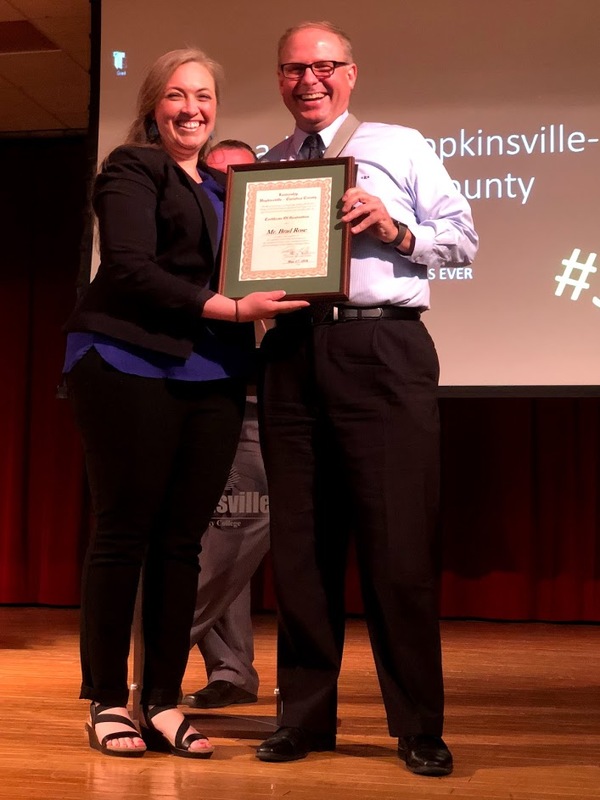 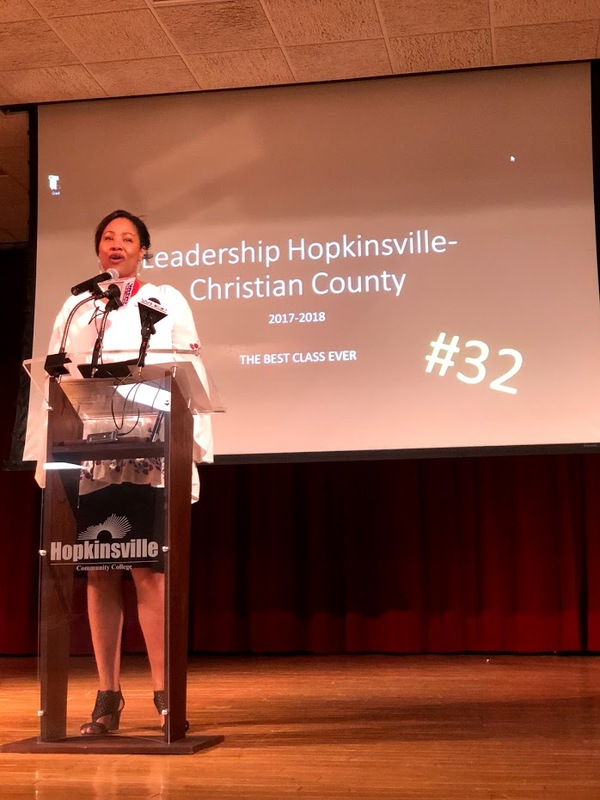 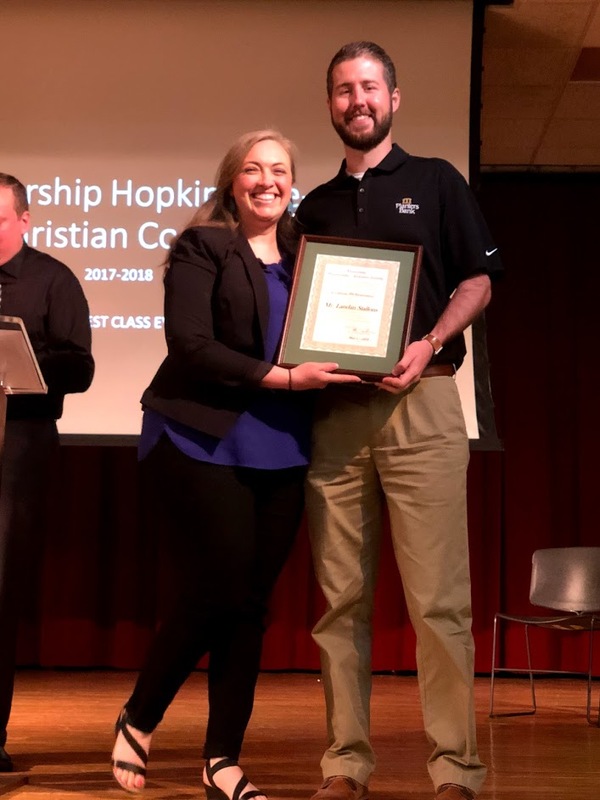 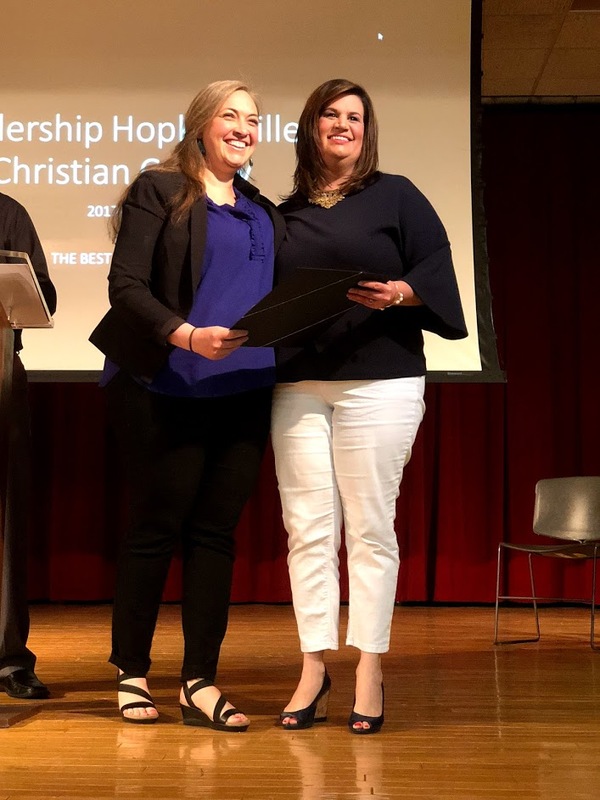 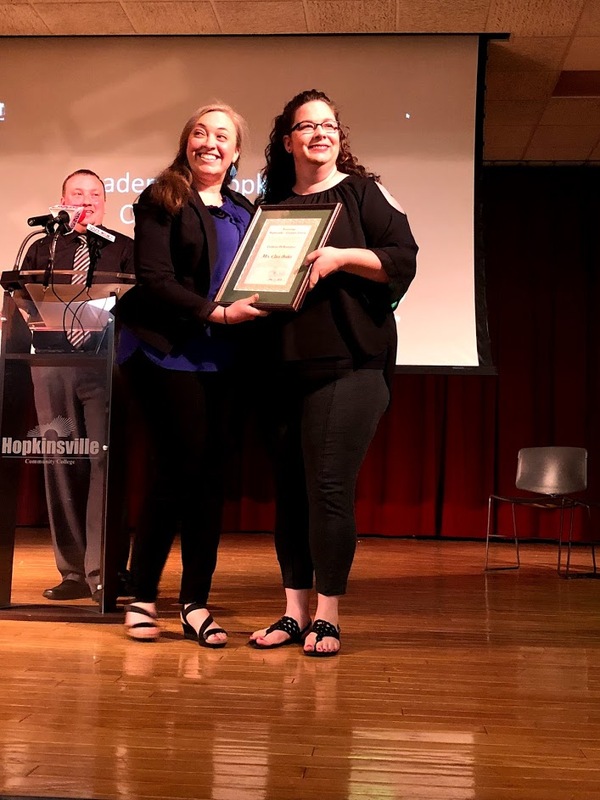 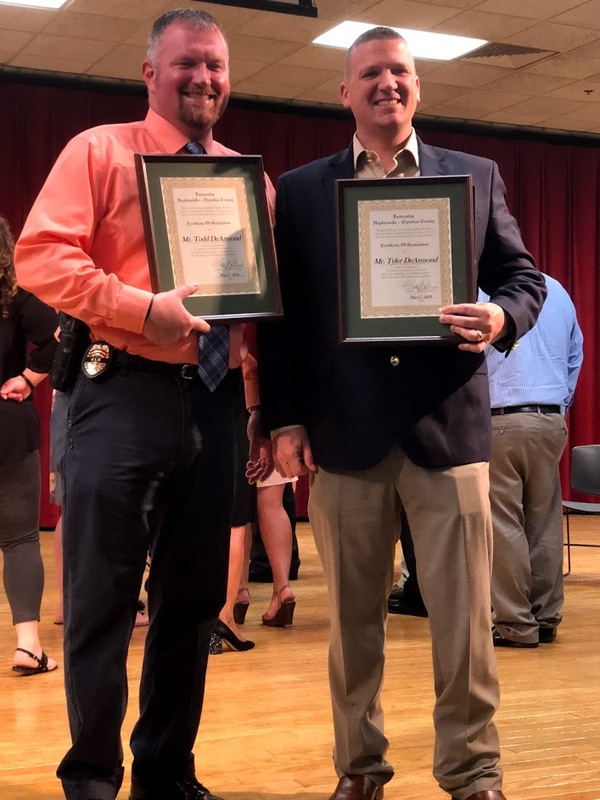 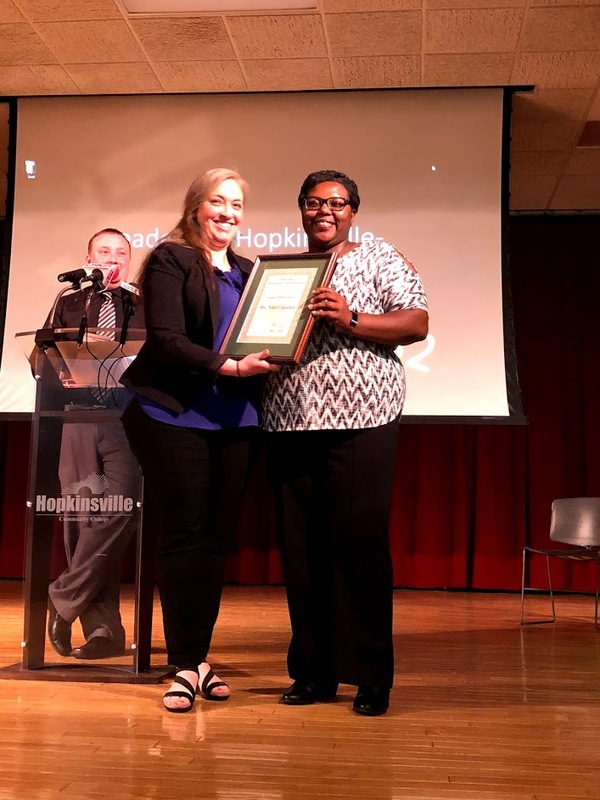 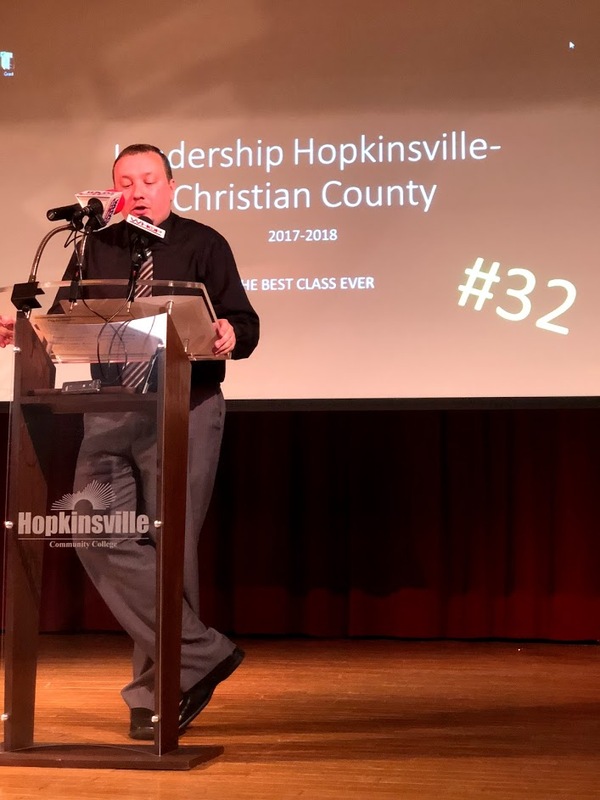 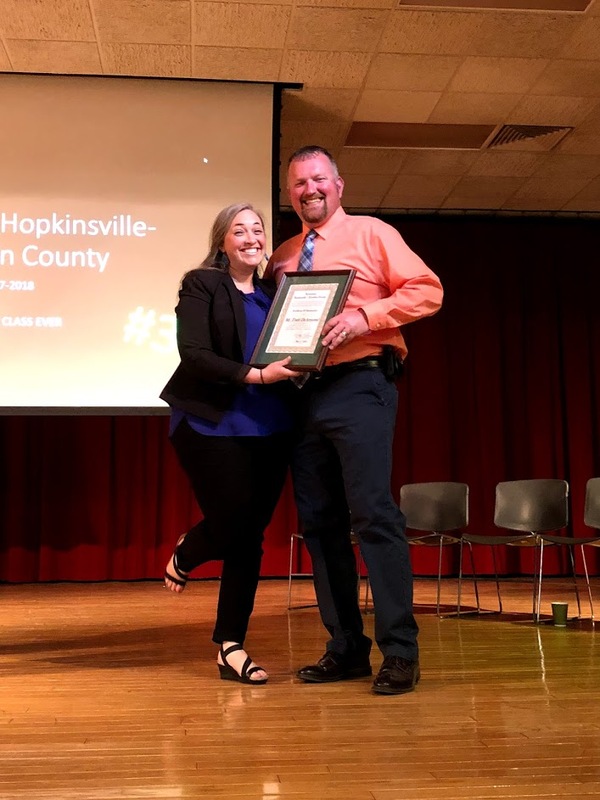 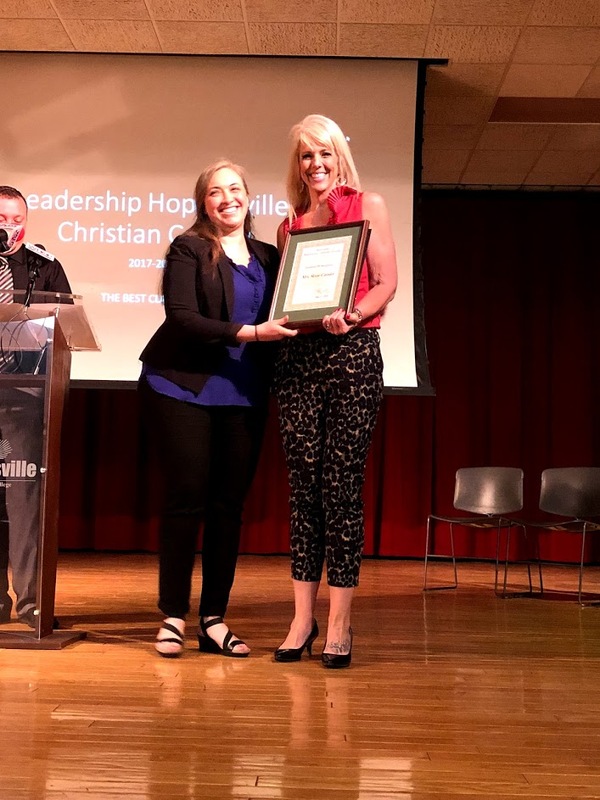 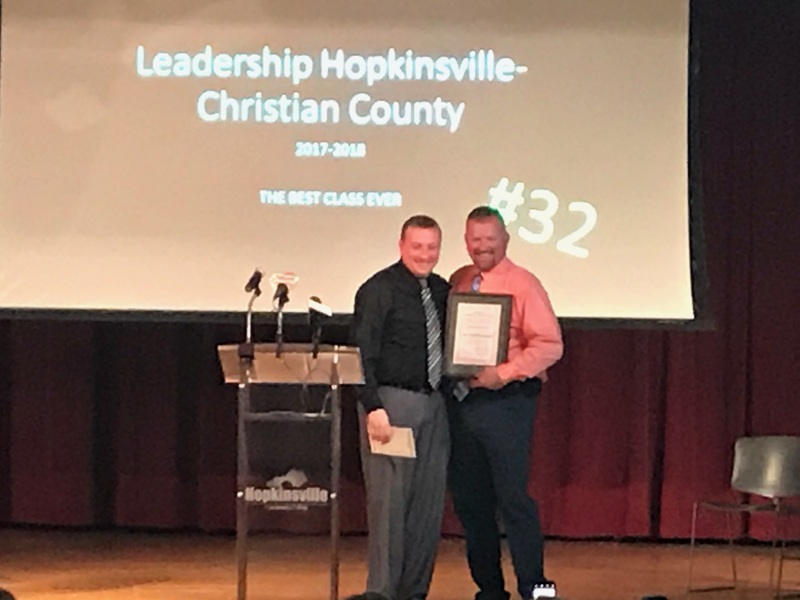 Participants of the Leadership Hopkinsville-Christian County Class of 2017-2018 graduated on May 17, 2018 at a breakfast ceremony held at Hopkinsville Community College. 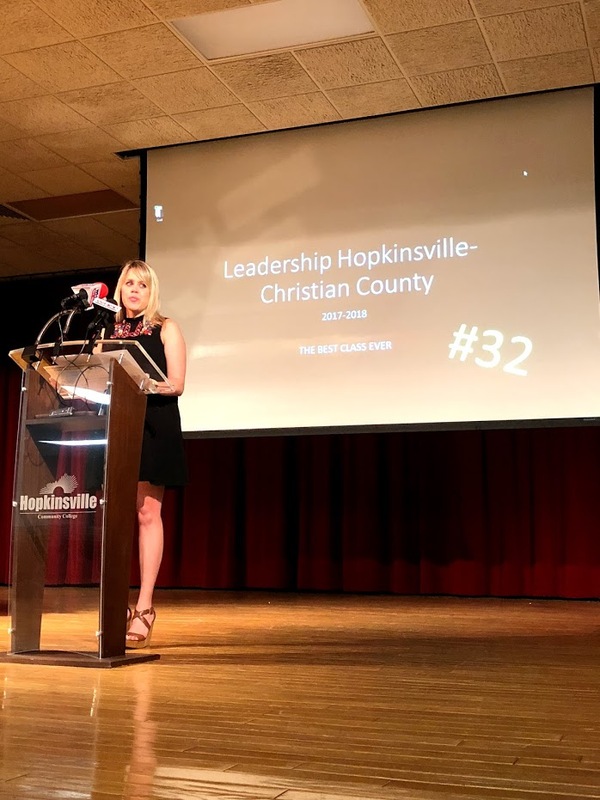 Kelli Pendleton, President/CEO, Christian County Chamber of Commerce, welcomed guests. 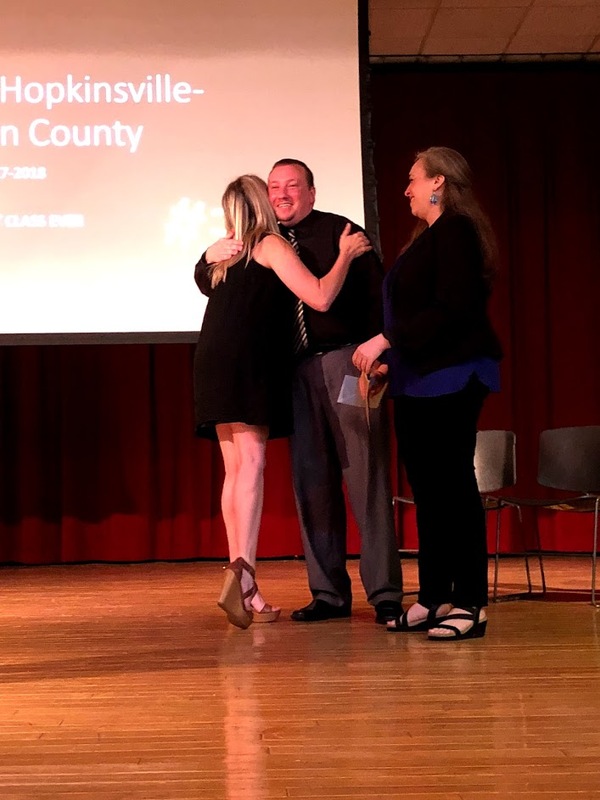 As sponsor of the event, Eric Lee, President/CEO, Jennie Stuart Medical Center, commended the class on their dedication to successfully complete the program. 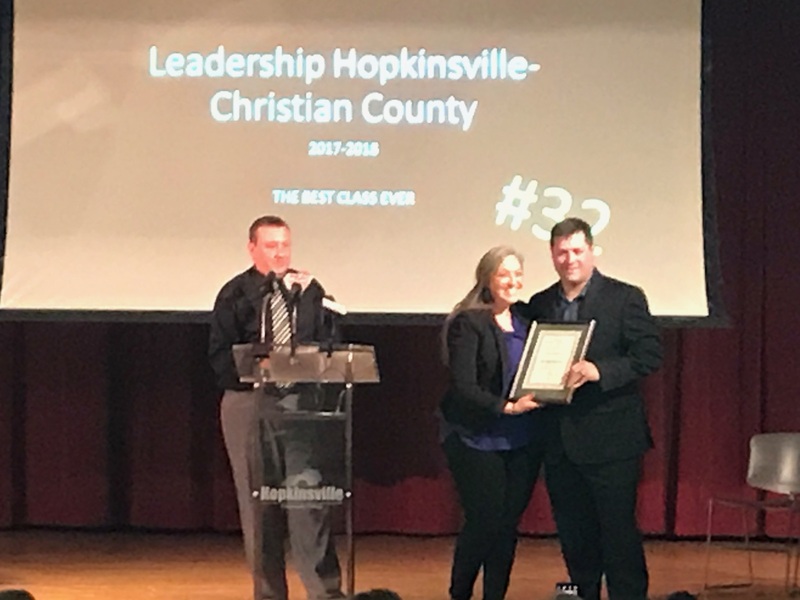 Eyvette Sellers, Leadership Chair, recognized Leadership Committee members and Program Co-Coordinators Alissa Keller and Dustin Gilbert. 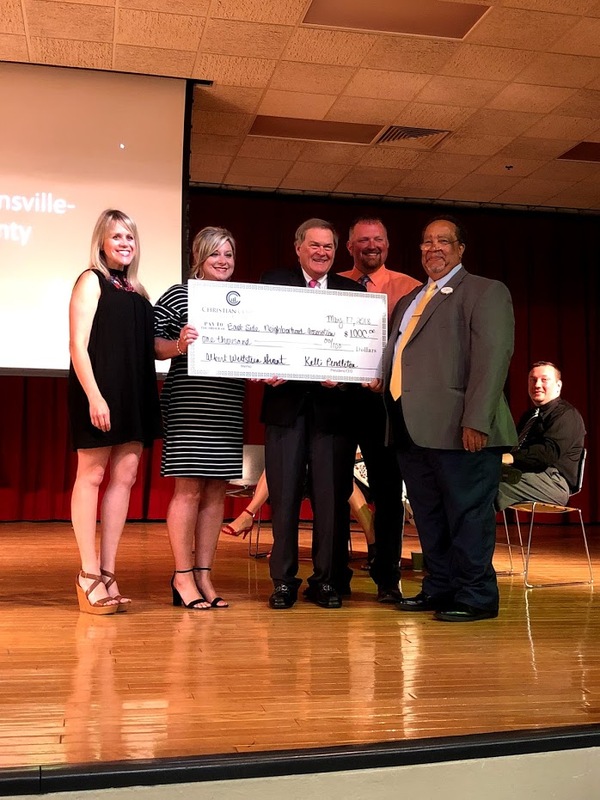 Class participants presented the Agency Award and a $1,000 check to East Side Neighborhood Association. 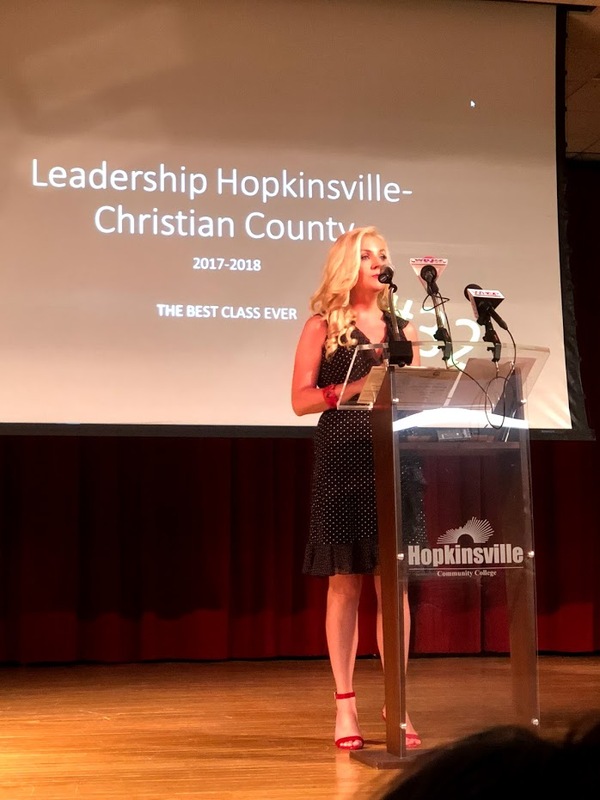 Lauren Wilson (PACs), spoke on behalf of the class and expressed their sincere gratitude for being selected to participate in the program, the invaluable knowledge they gained about our community and the memorable experiences they will always share together. 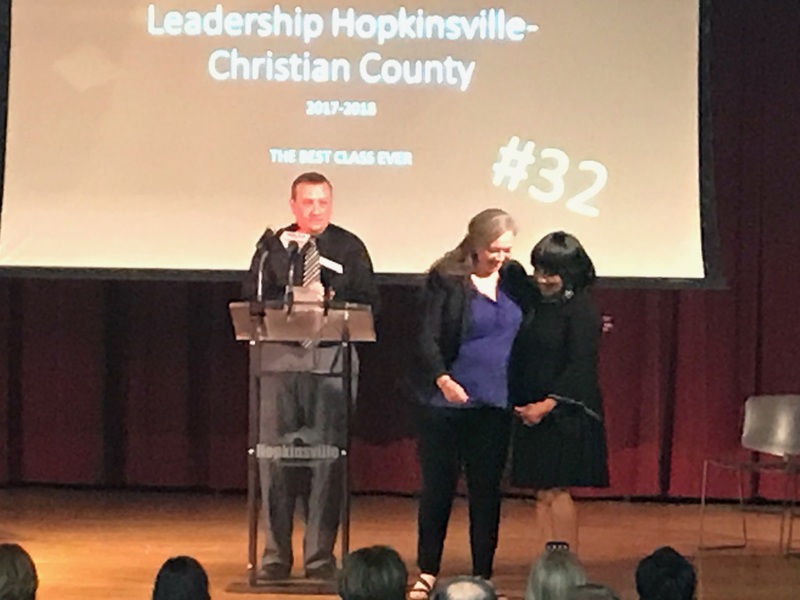 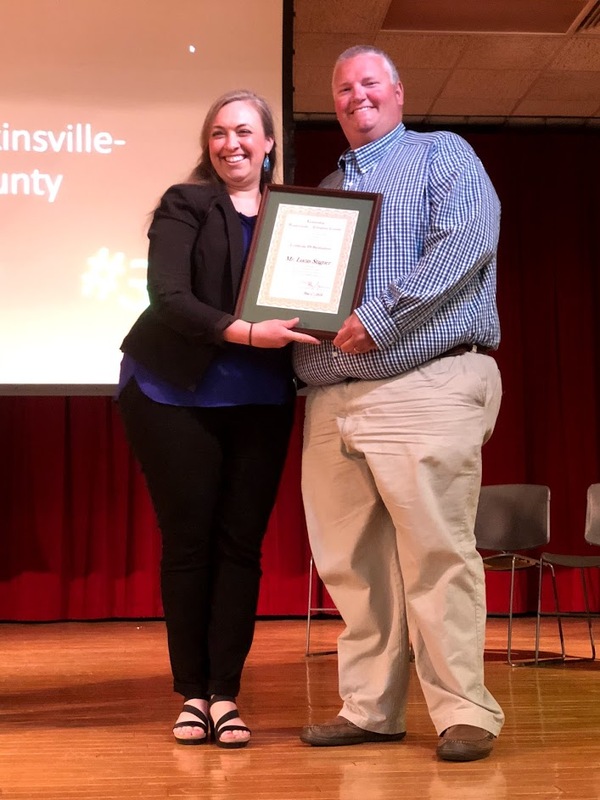 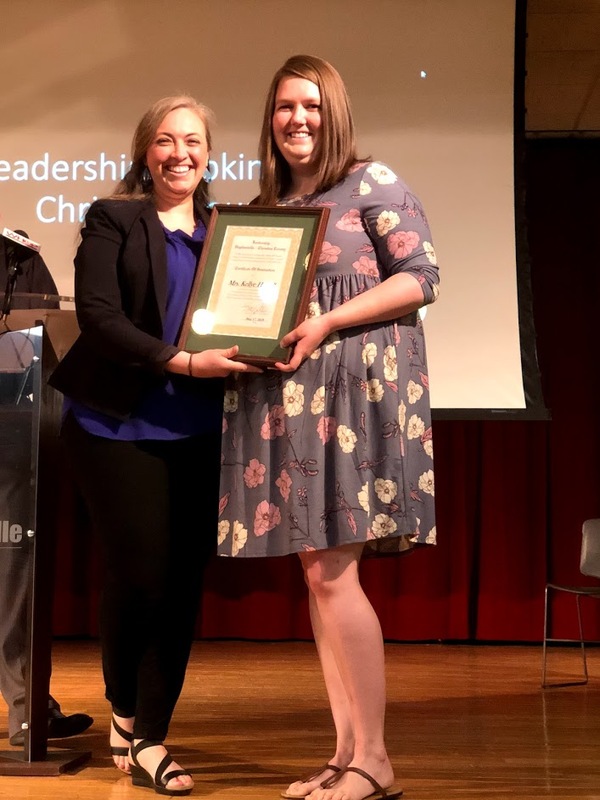 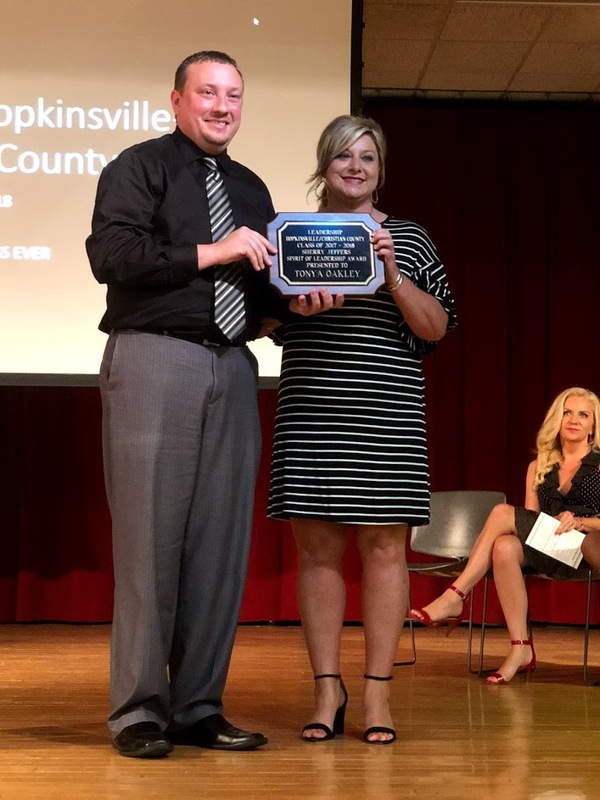 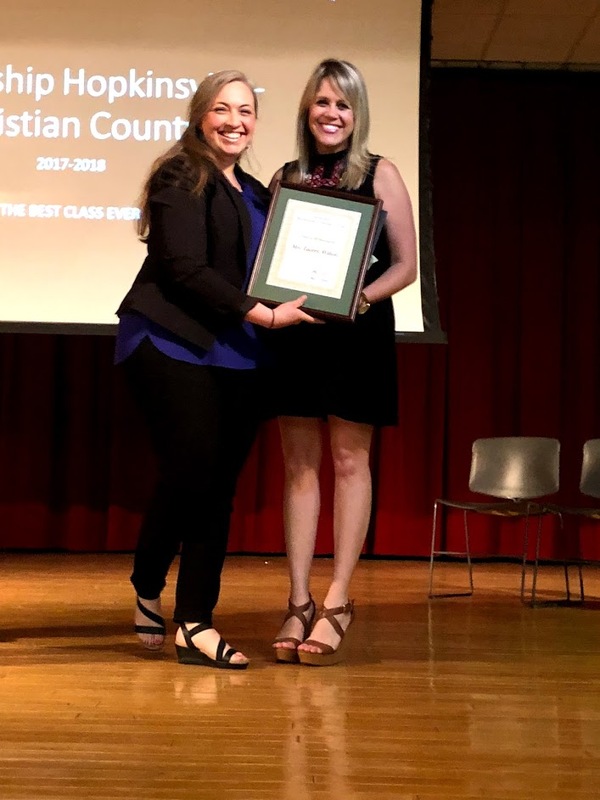 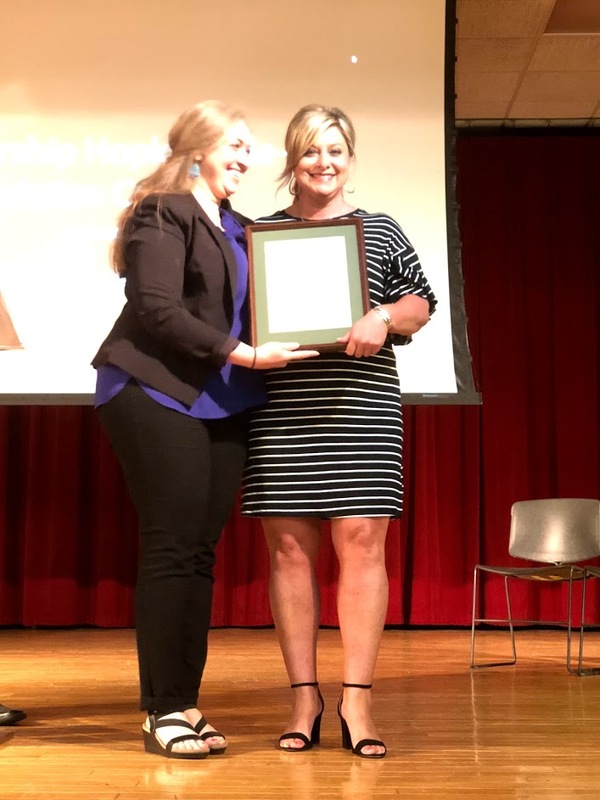 This year’s recipient of the Sherry Jeffers Spirit of Leadership Award was presented to class participant Tonya Oakley (Christian County Public Schools). 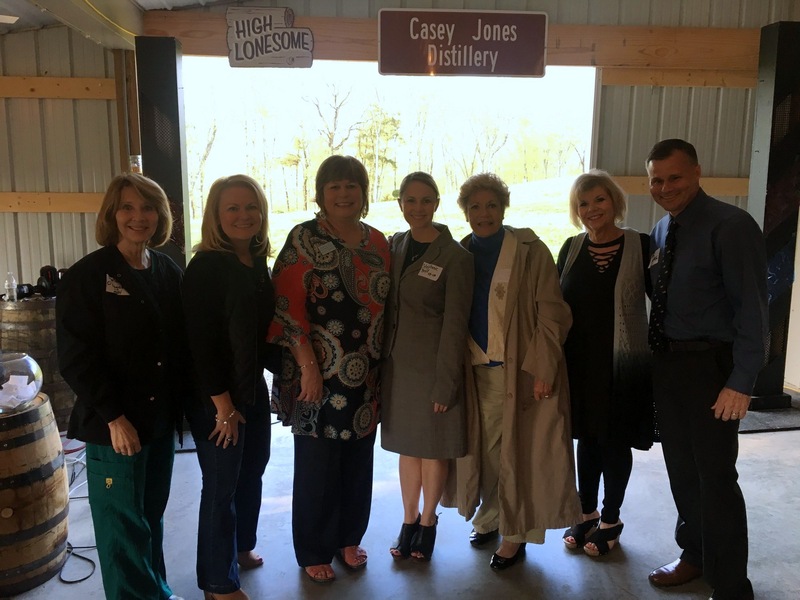 Leadership Hopkinsville-Christian County was proud to host the Leadership Alumni Reunion on April 26, 2018 at Casey Jones Distillery in Hopkinsville,KY. 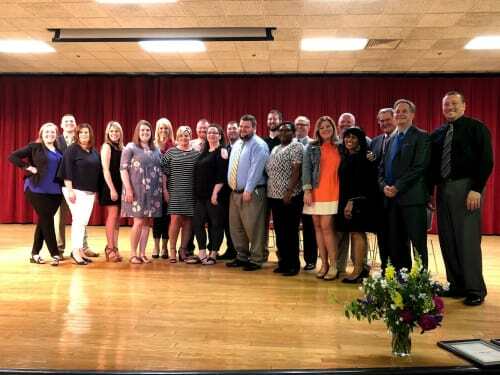 The reunion was a great success,celebrating 33 years of Leadership graduates with over 60 alumni attending the event. 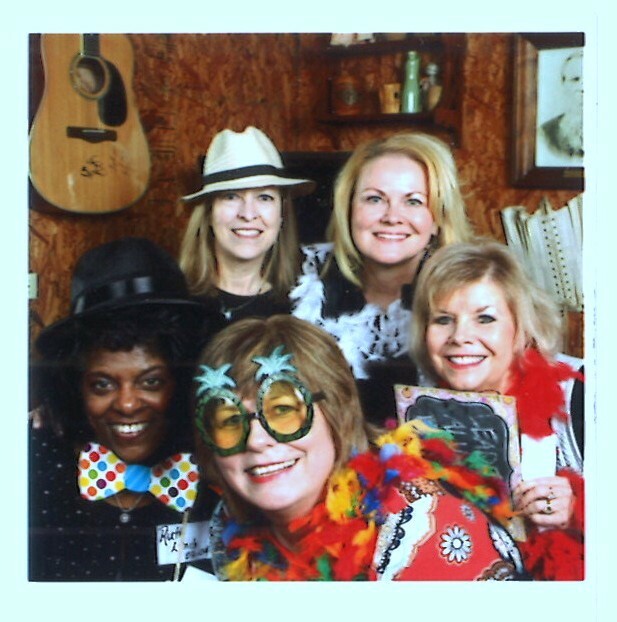 Alumni enjoyed food provided by Four Seasons Catering, music by the Pilgrim Project,and a fun photo op with “instant” photos by Southern Exposure. 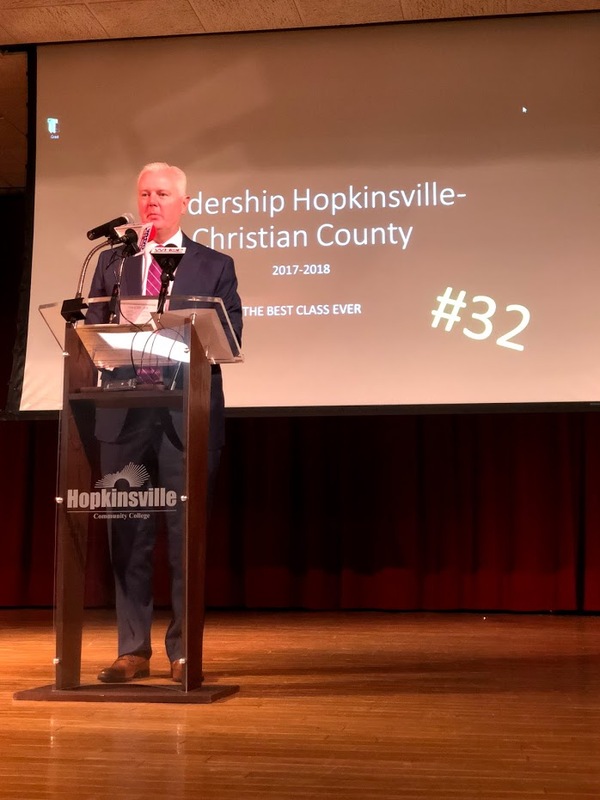 Thanks to Casey Jones Distillery for providing the perfect location and the following businesses who donated door prizes for the event: Casey Jones Distillery, Heritage Bank, Hopkinsville Community College, Jennie Stuart Medical Center, Murray State University Hopkinsville Campus, and Planters Bank. 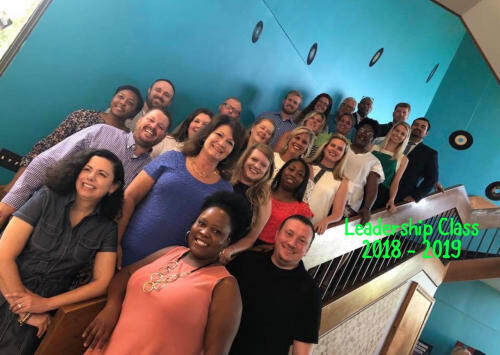 Leadership Alumni events are financed by Leadership Alumni membership dues. 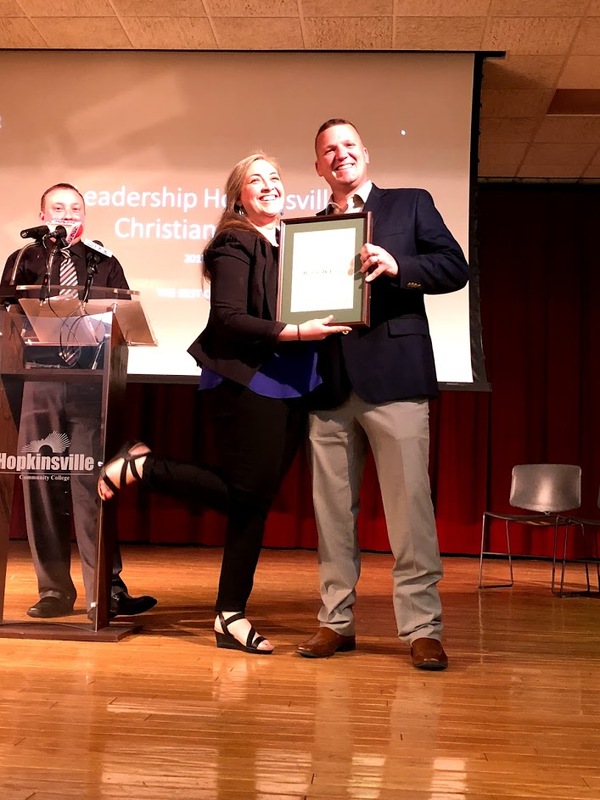 All Leadership Hopkinsville - Christian County graduates are eligible to participate. 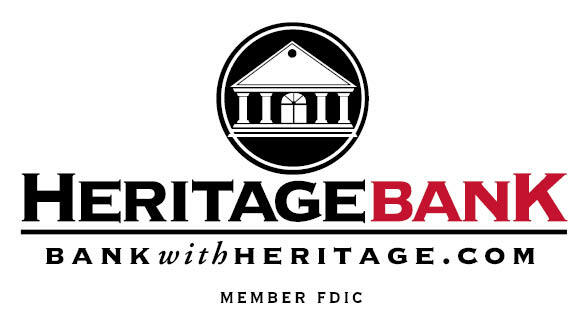 Not an Alumni member? 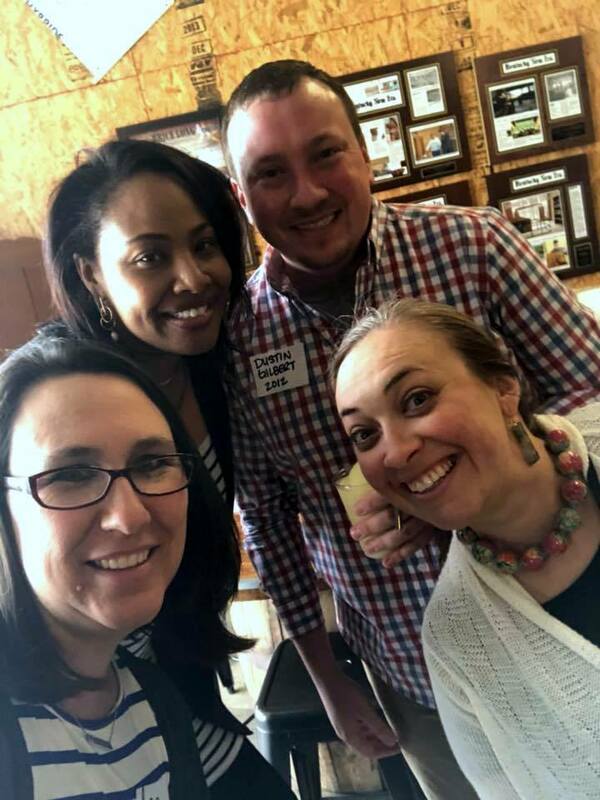 Sign up by completing the Leadership Alumni M embership Form located on this pa ge and mail it to the Chris tian County Chamber of Commerce. 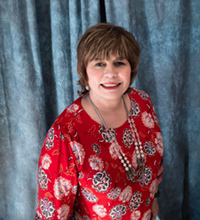 Your support and involvement are very much needed and appreciated! 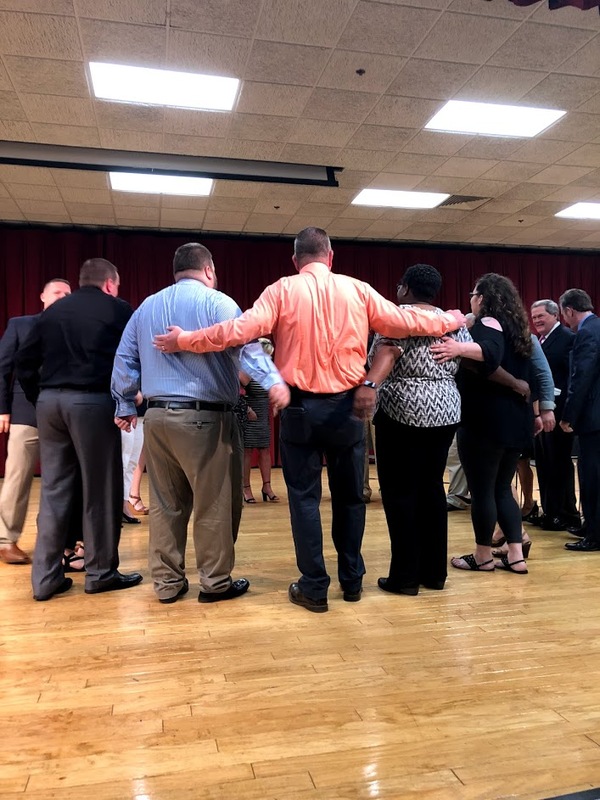 Often Leadership Alumni experience a change in employment or move out of the area. 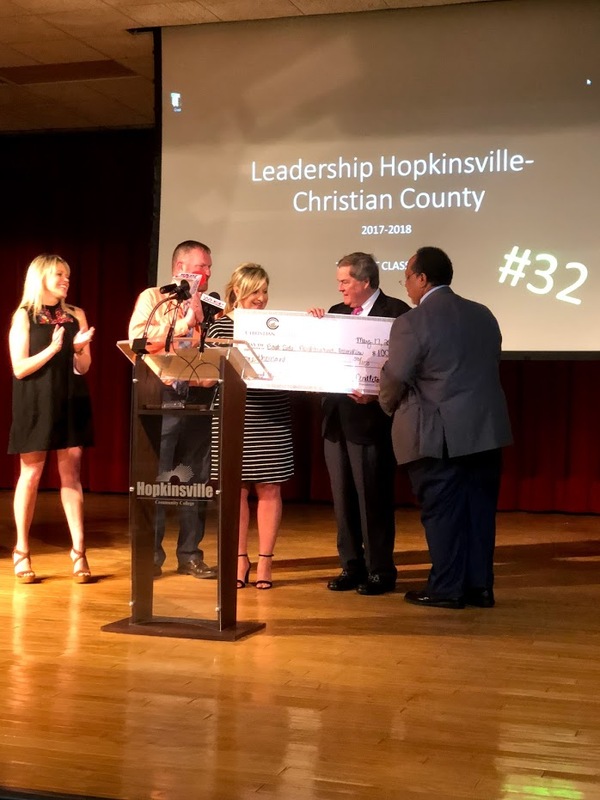 Please help us keep your con tact information current by completing the Lead ership Contact Information Form located on this page and mail it to the Christi an County Chamber of Commerce.